Lehzin Entertainment Inc., operator of the webtoon platform Lehzin Comics, generated revenue of 10.5 billion won ($9.24 million) in just two years since breaking into the U.S. market. The Korean publisher said Thursday its revenue in the United States reached 10.5 billion won in 2018, up 65 percent from the previous year. The company began servicing its platform to the American audience in January 2016. In Japan, a market it entered in late 2015, the Seoul-based startup raked in sales of 3.7 billion last year, up 29 percent from a year earlier. As a result, its overseas revenue surged 52 percent on year to 14.9 billion, the company said. But due to increased investment at home, it reported an operating loss of 9.7 billion won on sales of 46.9 billion won. Lehzin Entertainment attributed its success in the U.S. to its broadened genre offerings, careful attention to translation and editing, and efforts to engage with the foreign audience. It added that its overall profitability was hurt by heavy investment in marketing and content development at home and abroad. 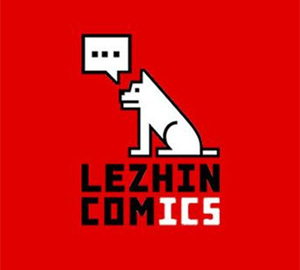 Lehzin Comics boasts a catalogue of more than 8,000 comics, including 800 webtoons, as of December 2018. Some of its most popular comic titles include the black comedy “Revatoon” and the romance series “Our Relationship Is” and “Sweet Guy.” It reportedly has more than 7 million monthly unique visitors worldwide. In the U.S., it provides a list of 219 webcomics, almost all of them by Korean artists. In Japan, it services 672 titles, 180 from Korea and 492 from Japan. Founded in 2013, Lehzin Entertainment revolutionized Korea’s webtoon industry by introducing a paid subscription service that charges viewers a fee for access to the next episode. The company drew 5 billion won of investment from local private equity firm IMM PE in 2016. It is also said to be in plans to go public on the secondary Kosdaq market.